It's another warm and mild day here in the Triangle of North Carolina! We almost turned on our air conditioner the other day. That's even crazy for NC in February! Whew! I have some exciting news, well at least exciting for me! I have another new Designer Gig! 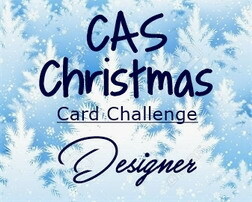 I'm a Designer for the new challenge, CAS Christmas! WooHoo! YAY! 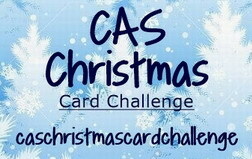 We will have a monthly CAS Christmas card challenge so now you can get some Christmas cards done more throughout the year!